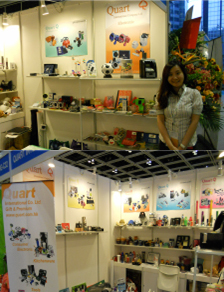 one of the leading exporter based in Hong Kong. We are specialized in producing and exporting Gift and Premiums, Sundries, Souvenirs items. Our range of products are including Stationary, Tools, Keychains, Umbrella, Houseware, Electronic, Games and Other Promotional / Souvenirs items…..etc. Our products are being exported to North, Central, South America, South Africa, Middle East & Europe etc. As a professional exporter, we emphasize on first class before and after sales services with most competitive price to guarantee that you will make the best possible deals. We also have well experienced and professional QC team stay with production place to maintain the high quality for all products. Quart, the combination between Quality and Artistic.